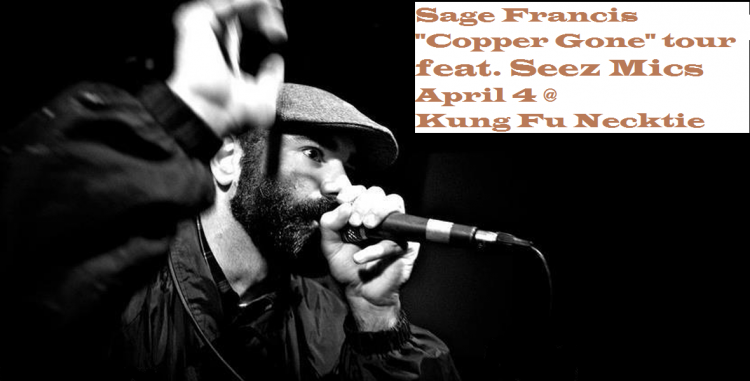 I’ll be joining my bearded brother Sage Francis in Philadelphia on Saturday, April 4 at Kung Fu Necktie. PLEASE NOTE: This is an early show, starts at 6 PM sharp. Also performing are YIKES The Zero, Carl Kevorkian, and LTC.